Sand beneath your feet and a breeze through your hair. A flowing chiffon gown and a light linen suit. Vibrant pink and purple skies as the sun sets beyond the ocean. Saying "I do" at a special desination is a dream that a quarter of wedding-planning couples turn into a reality each year. Maybe a place like Hawaii or the Bahamas has special significance in your relationship, but they're also incredibly popular wedding destinations, along with places like Italy and Aspen or Ireland and Alaska. Whether you're into a rustic woodland setting or the barefoot beach scene, doing a little digging to keep your ceremony off the beaten path is worth the unique story you'll hold onto for years. With an open mind and a little research, you'll be saving money in contrast to the world's more popular wedding destinations, and piquing interest with the stories you'll have to share once you've settled back home. An hour and a half up the interstate from Seattle, the quaint and charming evergreen city of Bellingham, Wash. is a gold mine for picturesque private manors. Whether you're going for a lush green backdrop or a ceremony on a Pacific Ocean yacht, Bellingham is an unassuming destination that is sure to fulfill every one of your woodland daydream desires. You're bound to find several eco-friendly vendor options for flowers and catering, and plenty of day-trip locations for visiting relatives. 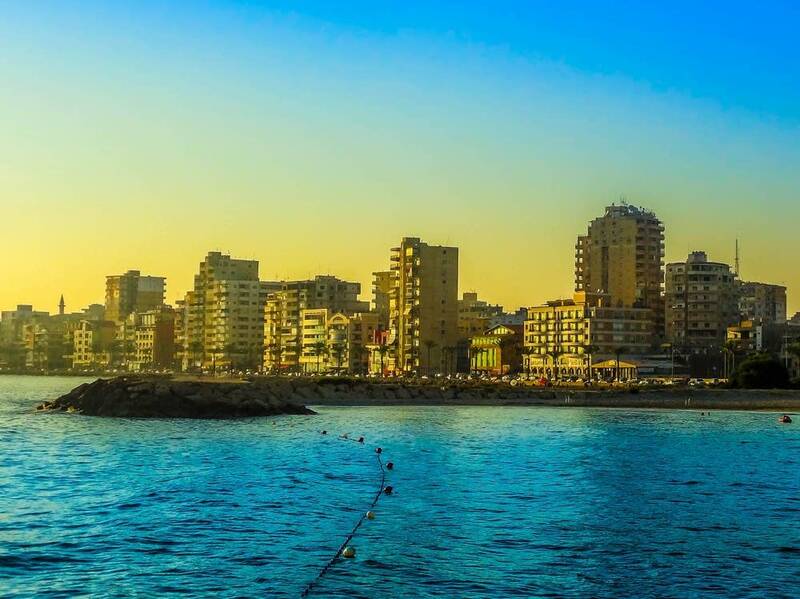 Lebanon's capital city, located on a westward peninsula, boasts beautiful Mediterranean scenery and striking culture. Once known as "the Paris of the Middle East," it's hard to find a much more romantic spot in a more unique location. Khalde is a town just a few miles south of the city, full of lovely resorts and stunning coastline bound to leave an impression on both you and your out of town guests. Known for being the smallest among the islands of Honduras, Utila has blue skies and white sands any way you look. Views of the mainland mountain range add drama to the romance, and local vendors can help you incorporate the unique Honduran culture into your nuptials. On an island lacking many buildings or inhabitants, there can't be better way to end the night than with crystal clear views of a dark sky, full of the most stars you've ever seen at once. A lesser-known sister city of Vienna and just a short drive up the Danube, the southern city of Tulln has a picture-perfect setting in quaint and tranquil countryside. You'll get to see some Roman ruins, as the city was founded under Roman rule, without dealing with the madness and tourist-flocked ancient city itself. Nicknamed the City of Flowers, it's hard to top the magical feeling this wonderful and whimsical European destination creates. More commonly a spelunking destination, the Langjokull glacier in Iceland is a stunning ceremony spot for the more adventurous couple. It may take more convincing to get your select few guests to weather the off-road trek, but the scenery, experience, and simple fact of getting married in a glacier is worth it. Follow the ceremony with a few stops along the Golden Circle to see some of Iceland's most memorable vistas.